According to the International Monetary Fund, the world loses as much as 2 trillion dollars in scams and scam-related trading. We learn more from scams than we learn from our laws and regulations. The world economy has been marred by tens of thousands of dollars worth of scams. The 24,000 crore rupees scam was what Indian Economy faced right after it opened its gates to the world in the year 1991 post liberalisation. Harshad Mehta, a stock market investor, exploited the loopholes in the Indian banking system and successfully laundered 24,000 crore rupees over a period of 3 years. The infamous stockbroker withdrew funds from banks using worthless and doctored bank receipts. From the forged documents, he further bought stocks from various industries. In between 1991-1992, 3,500 crore rupees were transferred from banks to a group of stockbrokers, lead by Harshad Mehta. The funds rose by 4,500 points shortly, giving him huge profits. He along with his brothers Ashwin and Sudhir were arrested in November 1992. B. Ramalinga Raju, former chairman of Satyam Computer Services Ltd., was arrested on 10th August 2010 for committing a 7000 crores scam. The infamous ‘Satyam scam’ came into light after Ramalinga Raju wrote an open letter to Securities and Exchange Board of India (SEBI) confessing that more than 90% of the company’s wealth shown on paper was fraudulent. He went on to assert that the rising gap between the profits shown on paper and the actual profits of the company was a concern for him and also the prime reason for coming clean to SEBI. SEBI is reported to have stumbled upon fake invoices and doctored bank statements during investigations into the scam. The regulatory body also asked Satyam Computer Services for 1,849 crores (with interest) that were acquired through unlawful gains. Consequently, the Central Board of Investigation arrested Ramalinga along with nine of his company associates. The World Bank banned him from doing business for the next eight years and accused him of data thefts and for bribing the staff. The National Spot Exchange Ltd. (NSEL) scam came into light on 31st July 2013 after the Government intervened in its operations. NSEL was a joint venture between Financial Technologies of India Ltd (FTIL) and National Agricultural Cooperative Marketing Federation of India (NAFED). The 5,600 crore scam has a simple explanation: If your vehicle was parked in your friend’s garage who was residing very far away from you, what is the guarantee that he would not use it as a taxi? He might make other use of it without you knowing about it. The same happened in the NSEL scam where the commodities that legally belonged to the investors were not delivered on time, while they were made to generate more profit by trading them with other third-party clients. NSEL operated on Forward Trading but extended the contracts to a much longer time than the stipulated two days. 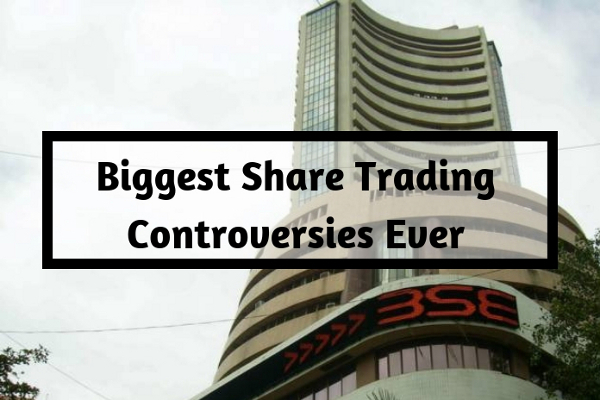 The investors were kept in the dark and were promised a 15% profit roll while NSEL performed unauthorised transactions with other parties. Central Bureau of Investigation, Supreme Court, Securities and Economic Bureau of Investigation (SEBI) and Economic Offences Wing (EOW) became vigilant and took action in the year 2013. Bernard Lawrence Madoff, widely known as ‘Bernie’ was an American financier who executed the world’s most massive multi-billion dollar scam. The man masterminded the Ponzi scheme of “split-strike conversion” that promised investors large and steady returns on their investments. Bernie, however, put all the investor funds into a bank that he used to pay out the existing clients who wanted a cash-out. Over investigations, one of the last bank statements carrying 64.8 billion dollars of client assets was discovered. The scam came to light post the 2008 Financial crisis when the markets crashed. Madoff carried out fraudulent practices for over 17 years before confessing. The energy company was founded by Kenneth Lay in 1985. It ventured into trading electricity and other sources of energy over the dotcom bubble soon after that. However, by the fall of the year 2000, the company began going into losses, and the existing CEO Jeffrey Skilling thought of a way to hide the decreasing rate of growth through a mark-to-market accounting hack. In this accounting system, the value of a commodity is shown as per its current market value, rather than its actual value. Mark to Market accounting does work while trading securities but is harmful to real business. On November 8, 2001, Enron declared that it had been inflating its income by an amount of 586 million dollars since the year 1997. The stocks fell sharply, and the following year Enron was banned from New York Stock Exchange. Subsequently, the Justice Department filed a criminal investigation on the company. On June 15 the same year, Arthur Andersen of the accounting department was convicted of obstructing justice and carrying out unlawful activities. The scams committed by individuals not only expose the flaws in the regulatory framework but also reflect the epitome of human greed. To know more about trading account, click here.